NASA’s RapidScat instrument mounted on a platform outside the International Space Station to track winds over the world’s oceans has ended its mission after a technical glitch disabled the sensor earlier this year, officials said Monday. Assembled out of spare parts on a shoestring budget of $26 million — less than a tenth of the cost of a full-up satellite mission — the ISS-RapidScat instrument filled a data gap that left meteorologists lacking measurements to aid hurricane and typhoon forecasts. 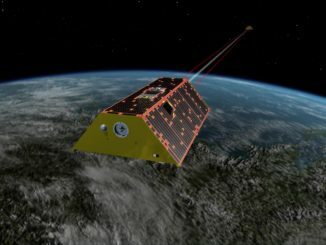 For nearly two years, RapidScat collected and beamed down measurements of wind speed and direction that offered insights into intensifying tropical cyclones and large-scale climate phenomena, such as how changing winds over the Pacific Ocean drove changes in water temperatures during an El Nino event in 2015 and 2016, according to NASA. The RapidScat instrument stopped working Aug. 19 after a power distribution unit on the space station’s Columbus module failed, NASA said in a statement Monday. The scatterometer instrument was mounted outside the Columbus module by the space station’s Dextre robot following its launch inside the unpressurized trunk of a SpaceX Dragon cargo craft in September 2014, and RapidScat began returning science data about a month later. RapidScat’s primary sensor was a 100 watt, 2.5-foot-diameter (75-centimeter) microwave antenna that spun at nearly 20 rpm, emitting and receiving signals bounced off the ocean’s surface. From those signals, scientists could process data on wind speed and direction by analyzing returns reflected off the ocean at different angles, helping hurricane forecasters and climate researchers keep track of short-term and long-term trends. 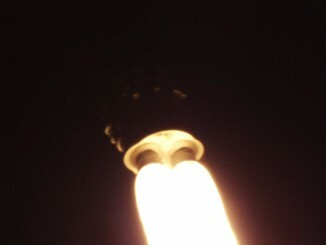 Designed and built by NASA’s Jet Propulsion Laboratory, the instrument was designed to work for two years, and it nearly reached that goal before succumbing to the power system failure in August. After RapidScat’s power supply was interrupted Aug. 19, ground controllers tried to reactivate the instrument, but one of the outlets on the power distribution unit experienced an overload, according to NASA. All attempts to recover RapidScat failed before managers declared an end to the mission. 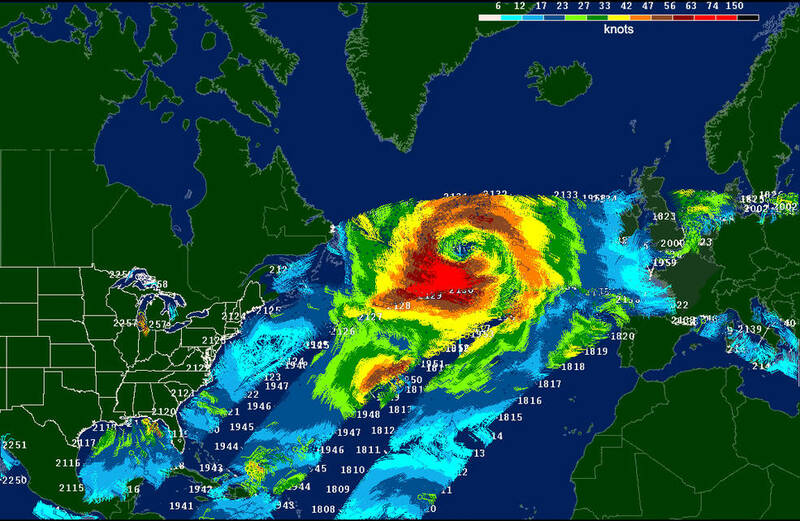 Data from RapidScat fed into forecasts from NOAA, the U.S. Navy, and European and Indian weather agencies. RapidScat was built out of spare parts left over from NASA’s QuikScat satellite, a mission cherished by hurricane forecasters that launched in 1999 and stopped returning data in 2009 after its antenna quit rotating. 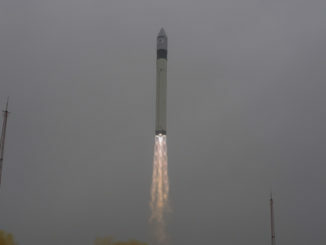 A similar scatterometer instrument on India’s Oceansat 2 satellite also ceased functioning in early 2014, leaving forecasters reliant on measurements from European weather satellites, which only “partially mitigated” the loss of QuikScat and Oceansat 2, officials said. With RapidScat’s launch in late 2014, meteorologists again had regular wind observations to plug into their cyclone forecasts. India’s newly-launched ScatSat 1 satellite — in space since September — will now pick up much of the duties of RapidScat. But ScatSat 1 is in a polar orbit, and while that allows the spacecraft to observe winds globally, RapidScat’s post on the space station in an orbit more closely hugging the equator gave the instrument visibility into winds at different times per day. It also maximized observing opportunities at mid-latitudes. Plans call for RapidScat to be detached from its home on the Columbus module and placed inside the trunk of a departing Dragon supply ship for disposal during re-entry over the Pacific Ocean. The latest space station flight plan had RapidScat assigned for removal on the SpaceX CRS 13 mission in late 2017. 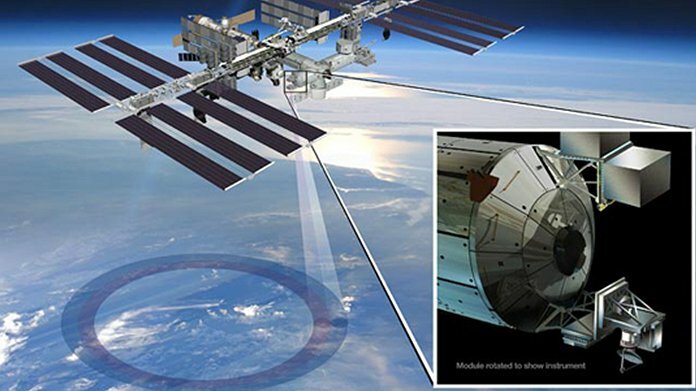 RapidScat was the first full-time Earth observation instrument to use the space station as an observation perch. NASA has since added a sensor to look at aerosols and clouds in Earth’s atmosphere, and two more will travel to the space station next year to study Earth’s ozone layer and detect lightning activity in the tropics.